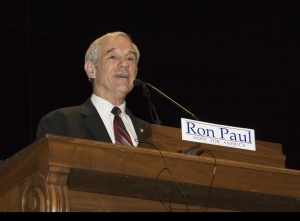 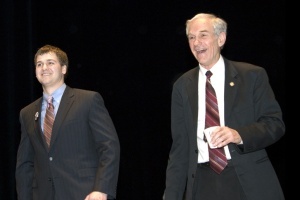 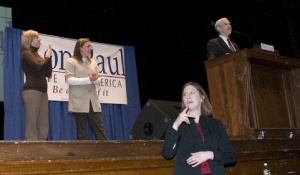 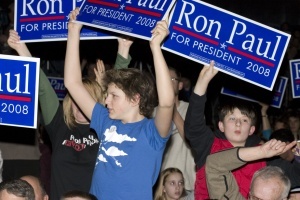 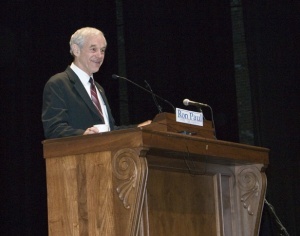 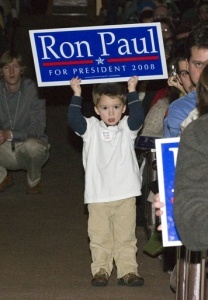 Ron Paul, Granddaughters, and Sign Language Interpreter. 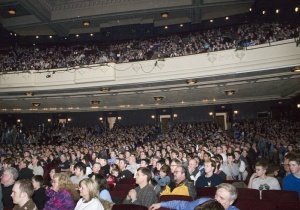 A crowd of aprox. 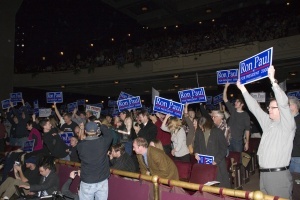 4,200 beating Hillary's turnout from the day before.